When was the last time you bought or drank Budweiser? Would you bring a six-pack of Budweiser with you to a party? What would you think if someone brought a six-pack of Budweiser to your party? Which of these Budweiser endorsers do you most identify with? You most identify Budweiser with? The bar you are at has four beers on tap. Which do you choose? 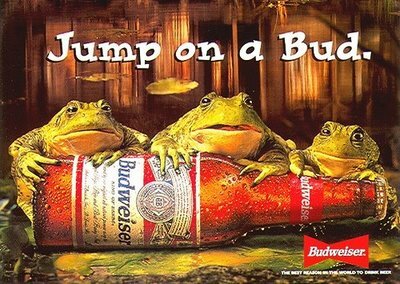 Do you think with the right advertising Budweiser could ever be cool again?